Product categories of Aluminium Castings For Electrical and Electronics, we are specialized manufacturers from China, Aluminium Castings For Electrical and Electronics, Aluminum Cast Components For Electrical and Electronics suppliers/factory, wholesale high-quality products of Customized Die Casting For Electrical and Electronics R & D and manufacturing, we have the perfect after-sales service and technical support. Look forward to your cooperation! With the rapid development of the electrical and electronics industry, the world has entered the 5G, the demand for communication base will be greatly increased. aluminum alloy die-casting products have light weight, good heat dissipation, and good mechanical properties, thus communication boxes, filters, panel, radiator and so on are made of aluminum alloy die casting. 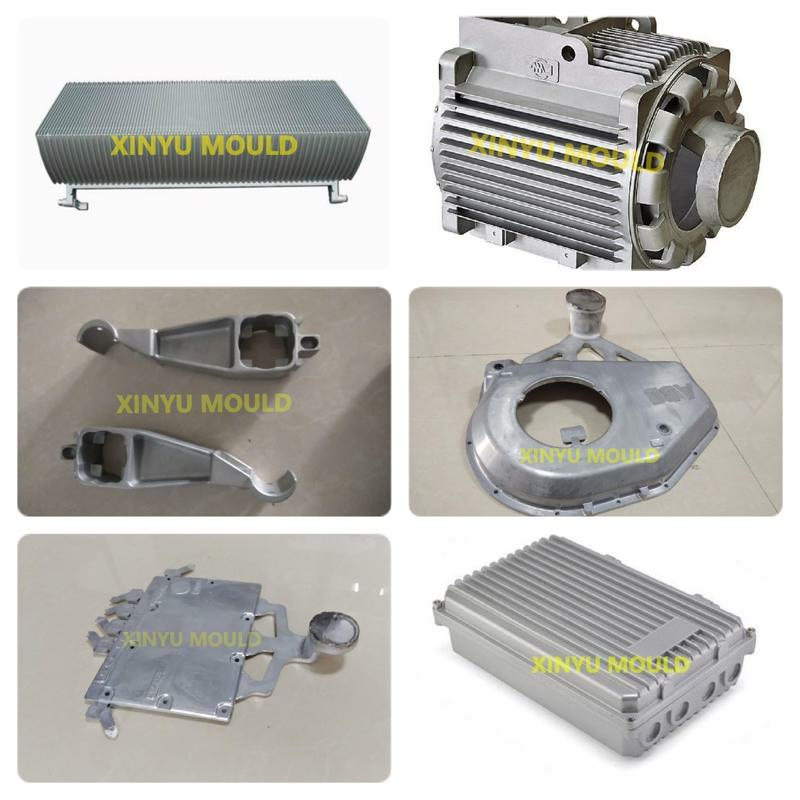 Xinyu mould is located in Beilun, called China's hometown of die casting. It has many years of experience in providing aluminum die casting dies for the electrical and electronics industry, we have been building a lot of aluminium casting component for world famous electric and electronics giant, such as ZTE, Emerson and so on. We are looking forward to cooperating with you, competitive price, high quality, and less Leadtime are our promise to you. The electric power industry covers the generation, transmission, distribution and sale of electric power to the general public and industry. The commercial distribution of electric power started in 1882 when electricity was produced for electric lighting. In the 1880s and 1890s, growing economic and safety concerns lead to the regulation of the industry. Once an expensive novelty limited to the most densely populated areas, reliable and economical electric power has become an essential aspect for normal operation of all elements of developed economies. The electronics industry, especially meaning consumer electronics, emerged in the 20th century and has now become a global industry worth billions of dollars. Contemporary society uses all manner of electronic devices built in automated or semi-automated factories operated by the industry. Products are assembled from integrated circuits, principally by photo lithography of printed circuit boards.Common parts manufactured are connectors, system components, cell systems, computer accessories, and these are made of Aluminium alloy, alloy steel, copper, brass, stainless steel, plastic, steel tubing and other materials.